Facebook unveiled the updated version of their news feed that was revamped to focus on photos that could also boost its appeal not only to users but also to different advertisers. Facebook co-founder Mack Zuckerberg led the unveiling of the new News Feed that was described as a “personal newspaper” that would feature news – both personal and global – and of course status updates of friends. The new Facebook News Feed that will now focus on “bright and beautiful” stories could be controlled by the users based on their interest. 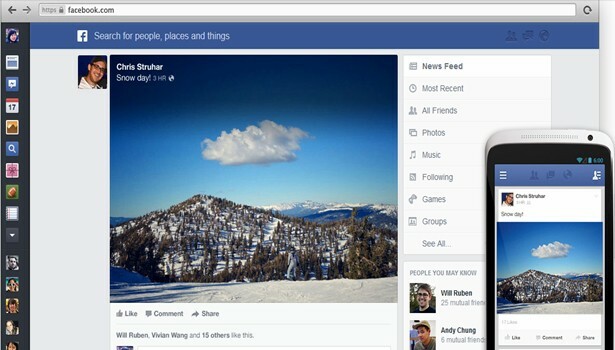 Facebook technical lead Chris Struhar said that if user follows a certain news website, he or she can tune it to the News Feed, then the News Feed will automatically display trending or top shared news stories. And if the user is a music lover, then he will automatically receive updates about his favorite bands, songs, or artists. Facebook has already began rolling out the new News Feed for desktop or laptop users and will be released soon for smartphones and tablets through an update application in the next few weeks.